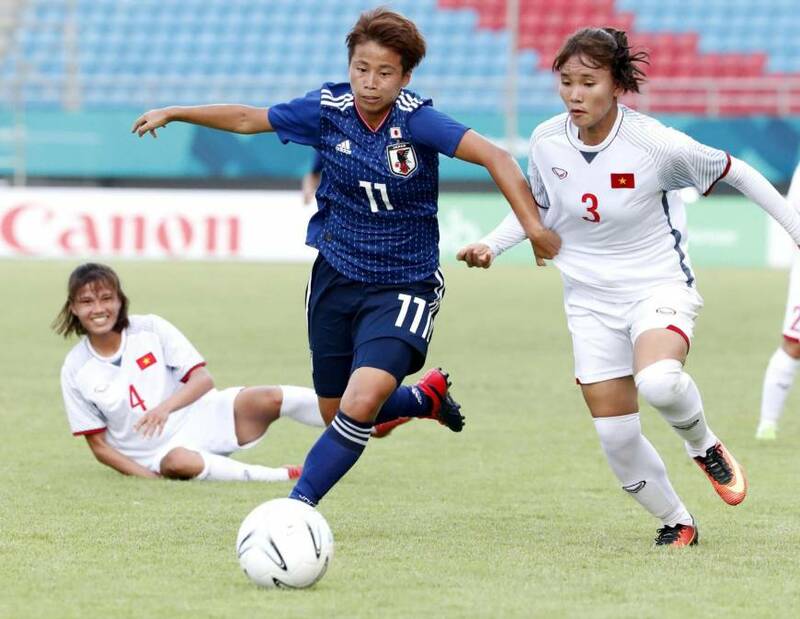 Japan remained undefeated in women’s soccer at the Asian Games following a 7-0 win over Vietnam on Tuesday. Five days after opening its group stage games with a 2-0 win over Thailand, world No. 6 Japan finished atop group C with a convincing win over 37th-ranked Vietnam. Japan remains confident in its quest to win the tournament for the first time since the 2010 games in Guangzhou, China. In 2014, Nadeshiko Japan won silver after going down to North Korea 3-1 in the final. Forward Yuika Sugasawa struck on either side of the halftime for Japan, while Mina Tanaka also scored a brace to put the match well out of reach. Nadeshiko Japan was also boosted by a goal each by Yuka Momiki, Emi Nakajima and Rika Masuya. 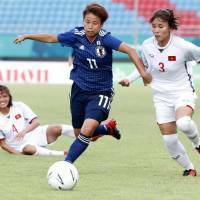 Despite defeating Vietnam by a large margin, Japan head coach Asako Takakura expressed frustration over her players’ performance. Japan will face China or South Korea in the quarterfinals on Saturday. Vietnam also advanced to the quarters after finishing runner-up in Group C. Vietnam beat Thailand 3-2 in its opener.